Atiku thanks PDP delegates for choosing him. The presidential candidate Peoples Democratic Party (PDP) Atiku Abubakar has gotten the backing of five powerful groups across the country. These groups are the Afenifere, Ohanaeze Ndigbo, Northern Elders Forum, Pan-Niger Delta Forum and the Middle Belt Forum. 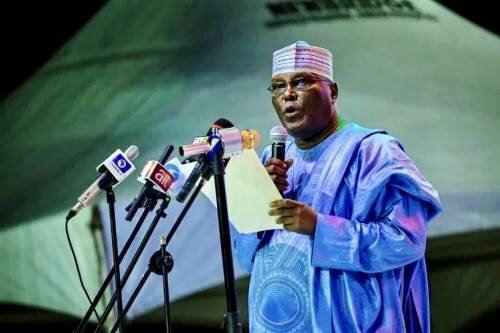 Atiku’s endorsement came on Sunday in Abuja after the meeting of the groups. According to the leaders of the group, Atiku was endorsed because of his intelligence, and capacity to lead the country. Some of the participants at the event included Ayo Adebanjo of the Afenifere; John Nwodo of the Ohanaeze Ndigbo; Pogu Bitrus of the Middle Belt Forum; Ango Abdullahi of the Northern Elders Forum; Edwin Clark of the Pan Niger Delta Forum (Pandef) Buba Galadima. The event was also attended by Tanko Yakassai (Leader of Northern Leaders and Stakeholders Assembly), Dr Junaid Mohammed, Prof. ABC Nwosu and Sen. Femi Okunrounmu among others. Atiku will battle President Muhammadu Buhari as his major contender for the position on February 16th.